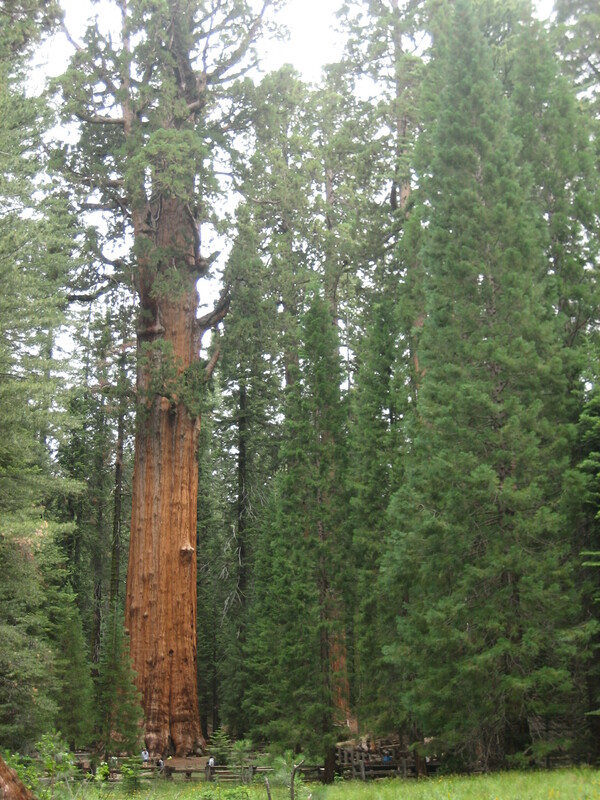 The main reason I decided to visit Sequoia National Park was to see the General Sherman Tree for myself. For weeks I’d been answering visitors’ questions about the location of the General Sherman Tree. No, the General Sherman Tree is not here. 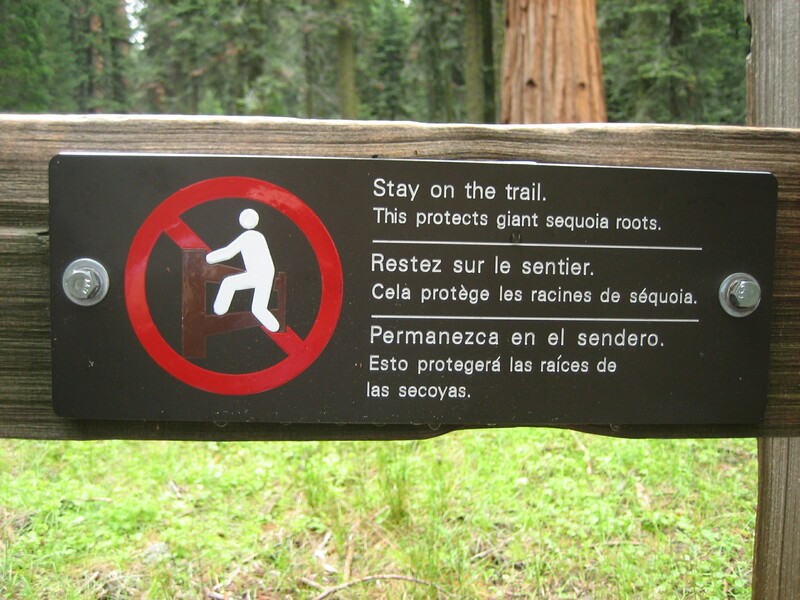 It’s in the Sequoia National Park. It’s about three hours away. A lot of people wanted to see the tree, and I wondered what the fascination was. At first I chalked it up to the American obsession with superlatives. We want to say we saw the biggest, oldest, tallest, heaviest. But it wasn’t just Americans who asked about the tree, and I got curious. What was it about the tree that caused so much interest? I first saw the General Sherman Tree from a distance. Even from a distance, the tree is obviously big. The General Sherman Tree from a distance. 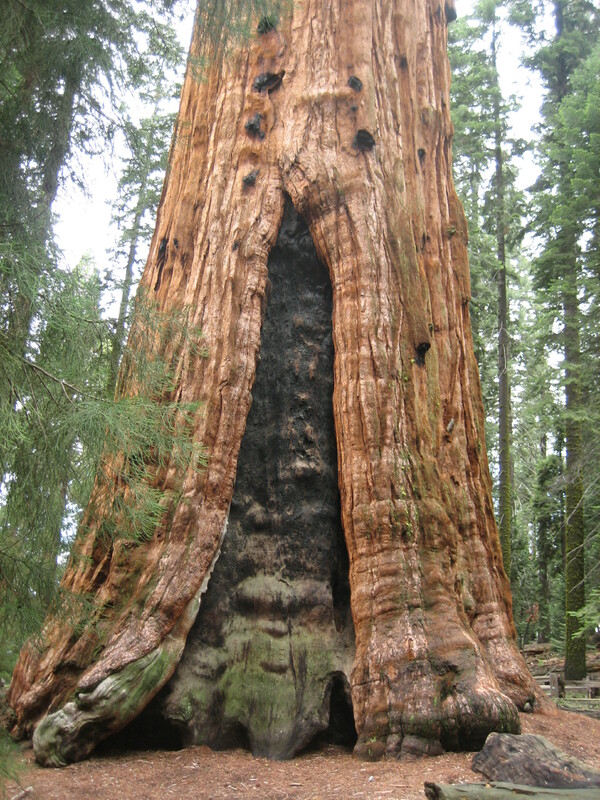 However, the General Sherman Tree lives in the Giant Forest. There are big trees all over the place. 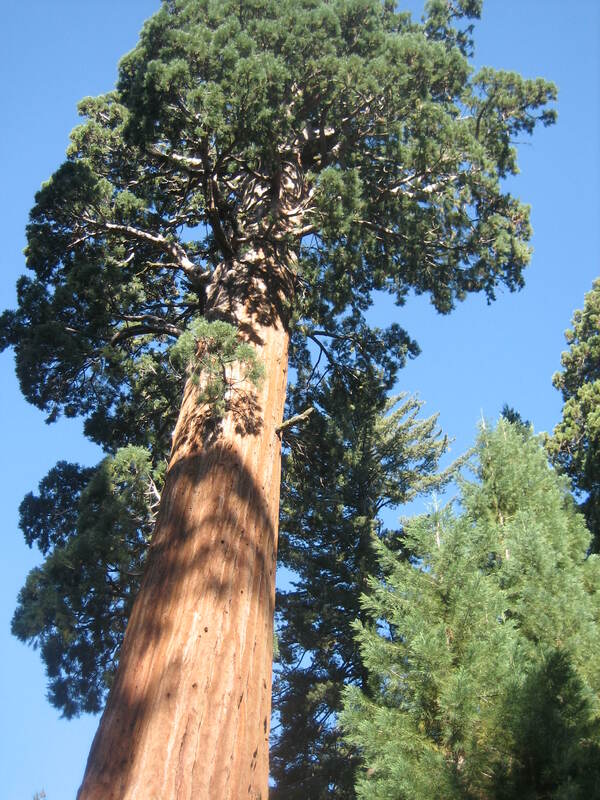 (Four of the five largest measured giant sequoias live within the three square miles of the Giant Forest, which was named by John Muir in 1875.) I didn’t fully appreciate the tree’s size until I got close to it. Close to the General Sherman Tree. It was difficult to get a shot of the tree without tourists standing in front of it. There was a nearly constant parade of people standing behind the sign so someone they were with could take a photo of them with the tree. I was alone and didn’t want to ask a stranger to take a photo of me standing there, so I have no photo of me with the tree. You’ll just have to believe I was really there since I have no photographic evidence. I don’t even know how to describe the size of the General Sherman Tree. Start with big and multiple by massive. Contemplate immense. Imagine tilting your head back, back, back in order to get a look at its crown, then keeping your head leaned back until it starts to cramp. I have no words to adequately describe the tree. And photographs? My little camera is certainly not capable of capturing the majesty of this tree. 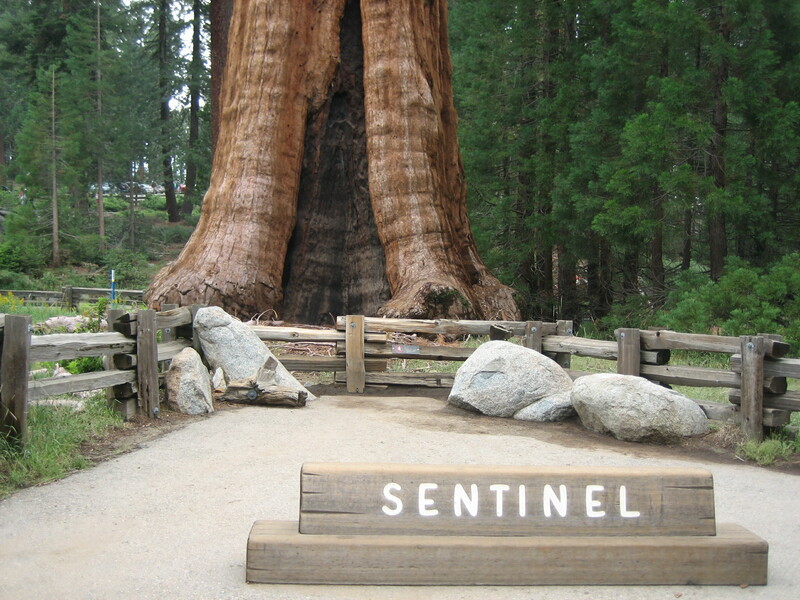 The height above the base of the General Sherman Tree was 274.9 feet. General Sherman’s circumference at the ground was 102.6 feet. The diameter of the tree’s largest branch was 6.8 feet. The height of the first large branch above the tree’s base was 130 feet. 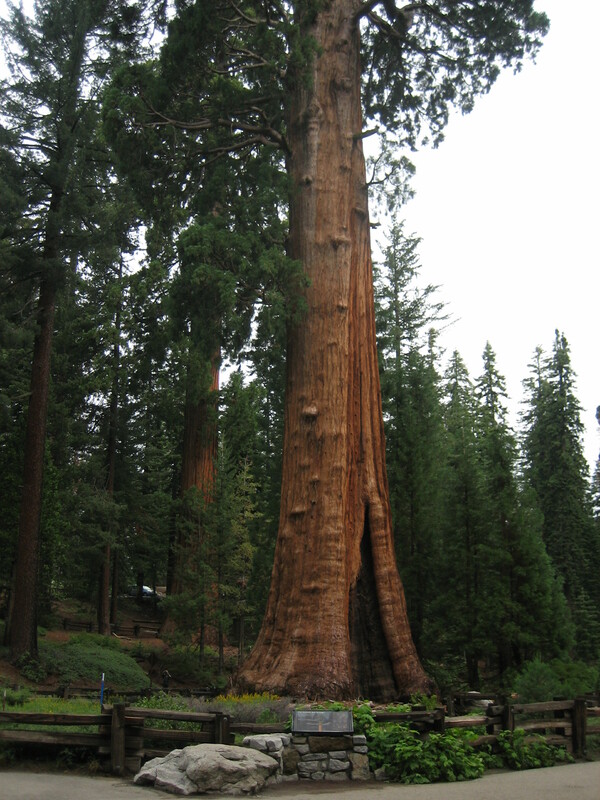 The General Sherman Tree is as tall as an average 27 story building. Its first significant branch is as high as the 13th story of such a building. If the General Sherman Tree were placed in the middle of a California three-lane freeway, it would completely block all three 12-foot-wide lanes. It’s ok if you can’t comprehend the tree’s size from reading these facts and figures. I stood right in front of the tree, looked up into the sky to see its crown, walked all the way around it, and I still can’t quite comprehend its size. It’s big. B.I.G. Did I mention massive? Have I used the word “enormous”? That really big log? 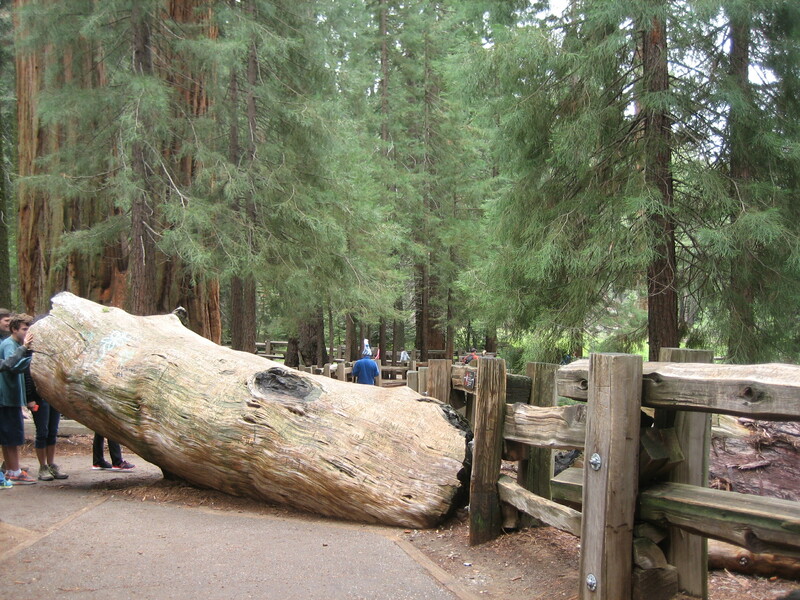 That’s a branch from the General Sherman Tree that crashed to the ground some years ago. A branch! The fence is there to protect the General Sherman. It’s there to keep millions of visiting feet from compacting its root system and/or eroding the surrounding soil and exposing its shallow roots. It’s there to keep idiots from carving names and initials into the tree’s bark. The other side of the General Sherman Tree. Notice the large fire scar. I’d like to be able to explain how it felt to be in the presence of a living being of such age and size, but really don’t have the words. 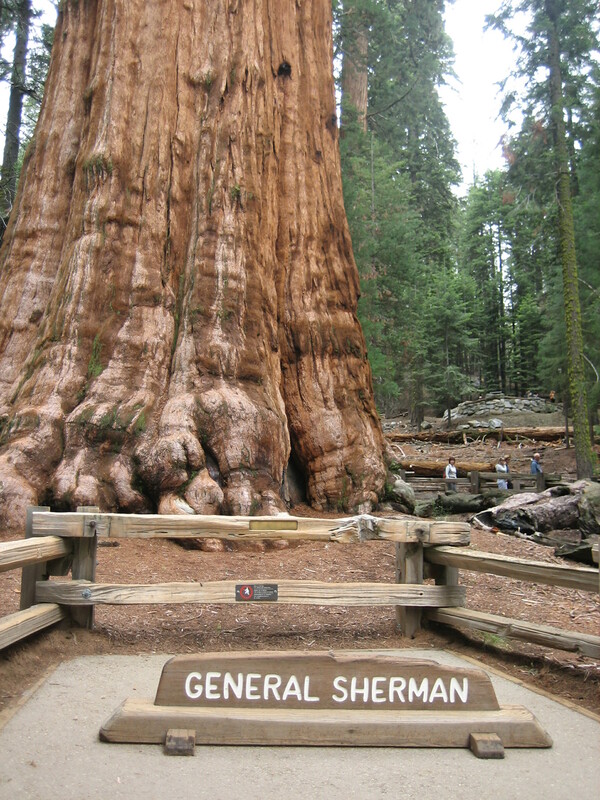 I hope someday you can visit the General Sherman Tree and have your own experience. 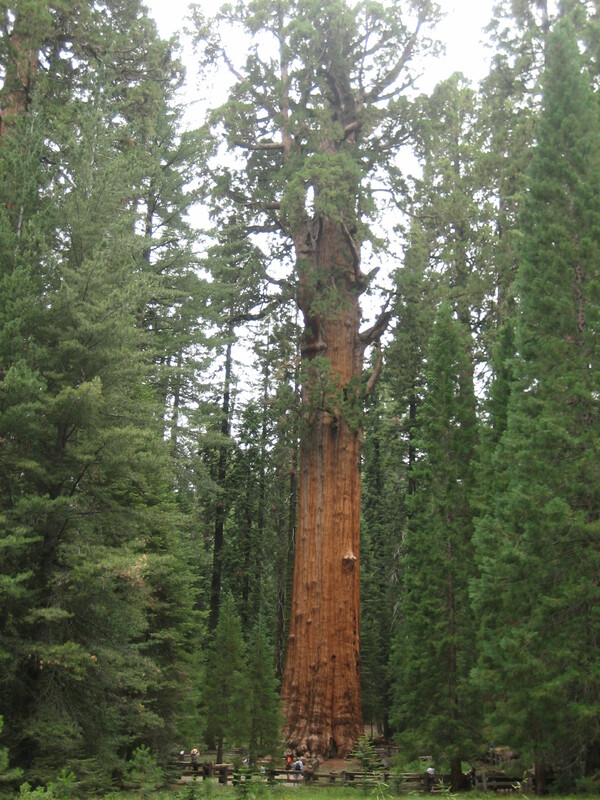 Here’s one more look at the General Sherman Tree. Much of the information in this post came from the booklet The General Sherman Tree by William Tweed. I picked it up for 99 cents at the Giant Forest Museum gift shop. It was money well spent. 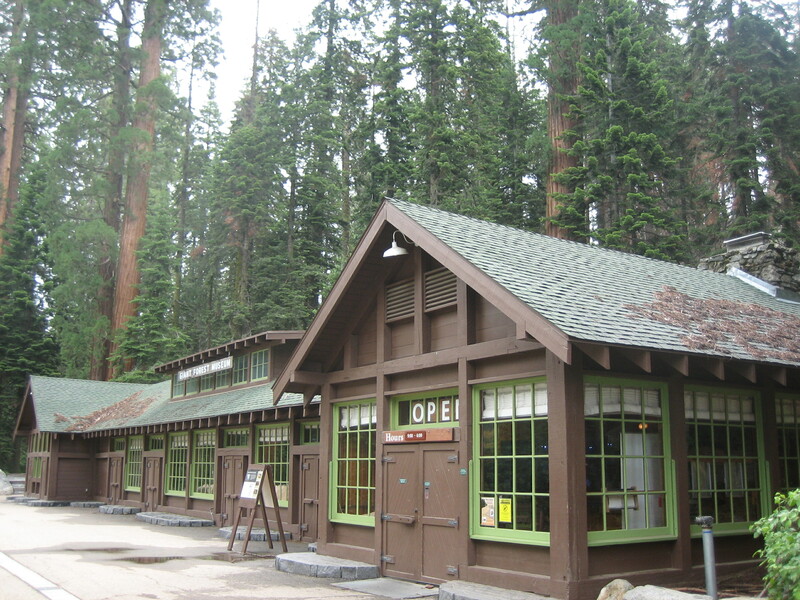 To read more about giant sequoias and the Giant Forest Museum, go here: http://www.rubbertrampartist.com/2015/08/13/giant-forest-museum-and-the-sentinel-tree/.